Engage your passion for learning and teaching. The Secondary Education (7-12) graduate teacher education certification programs prepare you for Grade 7-12 classrooms in Pennsylvania and in many other states. The programs combine professional education with an academic curricula area in English, Mathematics, Science (Biology, Chemistry, or Physics), Social Studies, or World Languages K-12 (Italian, Latin, or Spanish). Those who are new to teaching will learn how to lead in the classroom. Those who are currently teaching and looking to teach a different grade level or subject area will be prepared with the skills for a smooth transition. Our graduate teacher education certification programs are nationally accredited and guided by standards from the State of Pennsylvania and national professional organizations. The program faculty are experts in their field. Students will complete formal classroom visits, known as field experiences, explore different perspectives, and be face-to-face with social justice issues in the field. With Duquesne's premier location, in the heart of downtown Pittsburgh, candidates will have the opportunity to visit classrooms in urban, suburban, and rural settings. In addition to field experiences in local and regional schools, you will have the opportunity to study abroad by student teaching for eight weeks in English-speaking classrooms in Italy, Ireland, or England. Complete Duquesne University Online Graduate Application. Applicants who are a returning secondary education education teacher must submit a copy of their Instructional I Teaching Certificate in their secondary content area. Provide an one-page letter of intent, describing "why you want to become a teacher". Applicants seeking initial certification must have a minimum overall 3.0 GPA. Applicants who are returning secondary education teachers must have an overall 3.0 GPA and a 3.0 GPA in secondary education content courses. A Duquesne degree is an investment in your future. Join one of the nation's top-tier universities with the best value, considering cost and academic quality, as ranked by U.S. News & World Report. At Duquesne, you'll become part of a community of nearly 9,500 students studying at the undergraduate, graduate, and doctoral levels. University-offered graduate assistantships are available for competitive applications. Current full-time lay teachers of pre-K through high school or school administrators in a Roman Catholic school in the Pittsburgh, Greensburg, or Altoona-Johnstown Dioceses pursuing a non-doctoral degree or certificate in the School of Education may be eligible to receive a 60% tuition award. This Lay Teacher award does not apply to the doctoral programs. Only one Duquesne University degree may be earned under this reduced tuition program. The Catholic School Lay Teacher & Administrator Award Form details information pertaining to this award. 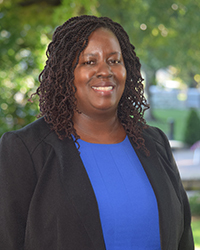 Rachel Ayieko (Ph.D., Curriculum, Instruction, and Teacher Education, Michigan State University, 2014) is an Assistant Professor. She has been teaching mathematics methods and content to PK-12 pre-service teachers since 2014. A former high school mathematics teacher (1993-2001) and middle-level college lecturer (2004-2008), Dr. Ayieko focuses her teacher education classes around "productive struggle" to promote problem-solving. Her research explores the opportunities to learn mathematics, mathematics teacher education, teacher quality, and equitable practices using comparative large scale data analysis and classroom observation schemes. 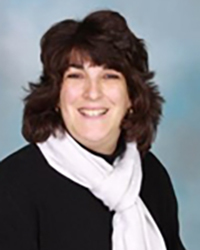 Karen Levitt (Ed.D., Science Education with Administration and Policy Studies, University of Pittsburgh, 1996) a former classroom teacher, is an associate professor in the Department of Instruction and Leadership in Education. 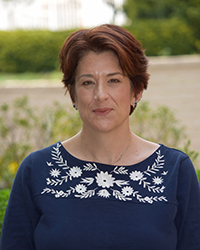 Dr. Levitt primarily teaches science methods courses in the PreK4 and Middle Level programs, although she also teaches a variety of other courses at both the undergraduate and graduate levels including Intro to the Teaching Profession. Her academic interest is in observing how teachers change their practices and their beliefs, especially when teaching science. Her goal through all of her courses is to for teachers to develop a curiosity and passion for education that they will in turn pass along to their students. Dr. Levitt has developed a national reputation for a course titled, Teaching Science with Toys, for which she was awarded the Duquesne University Creative Teaching Award. Dr. Levitt has consulted with area school districts on issues of strategic planning, student assessment, and curriculum development. Dr. Levitt has made scholarly and clinical presentations at state, national, and international conferences and has had several articles published in professional journals. Dr. Levitt earned her doctorate and master's degree in education at the University of Pittsburgh and her undergraduate degree in elementary education at Miami University (Oxford, OH). 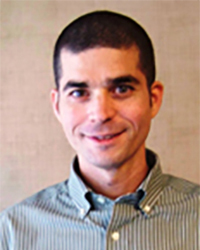 Jason Margolis (Ph.D. Teacher Education, University of Michigan, ‘03) served as DILE Department Chair from 2011 to 2018. A former New York City public high school English teacher (1993-1999), Dr. Margolis focuses his teacher education classes around "3rd space approaches" to engage diverse learners. 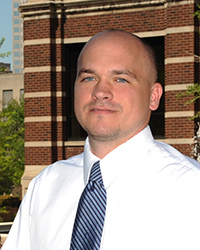 His research explores the intersection of school change, teacher professional development, and teacher leadership. Carla Meyer (Ph.D., Literacy Development and Learning Problems, University of Delaware, 2009) is an associate professor in the School of Education at Duquesne University. She teaches both undergraduate and graduate courses in literacy education. Dr. Meyer is committed to preparing and supporting teaching candidates in their efforts to become life-long learners, collaborators, and problem-solvers. Dr. Meyer has published in several scholarly journals including but not limited to, The Journal of Literacy Research, The Journal of Adolescent and Adult Literacy, The Journal of Literacy Research and Instruction, and The Reading Teacher. Jason Ritter (Ph.D., Social Studies Education, University of Georgia, 2008) is an Associate Professor in the Department of Instruction and Leadership in Education and currently serves as Department Chair. A former public high school Social Studies teacher in Georgia, Dr. Ritter understands his teaching as a process of critical inquiry capable of fulfilling the democratic mission of schooling, and teaches for advanced understanding of democratic citizenship. His research incorporates qualitative methodologies to explore social studies teacher education and the professional learning and development of teachers and teacher educators.